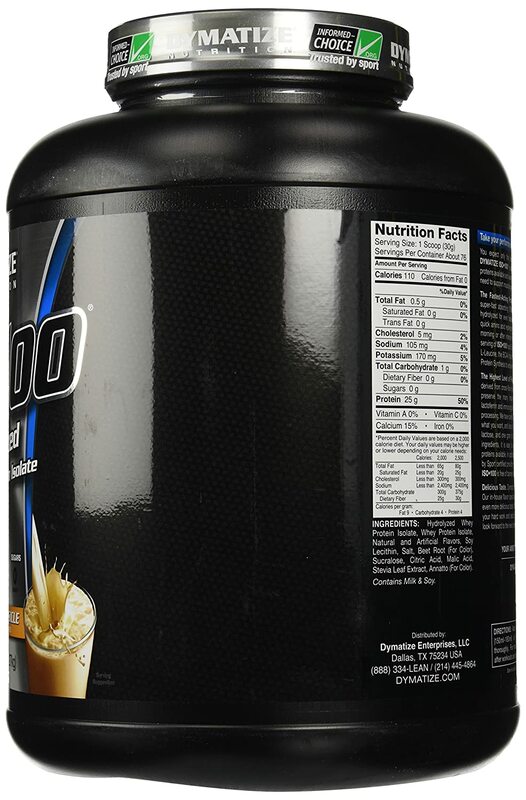 This product contains 100 percent whey isolate that has been hydrolyzed. Hydrolyzed whey digests far more rapidly than normal whey concentrates and other whey isolates. ISO-100® has everything your body needs to build and repair muscle faster. It is gluten and lactose free. It contains less than one gram of sugar and fat per serving. And, because ISO-100 is made of hydrolyzed 100% whey protein isolate, you get the nourishment your body needs faster than other proteins. Easy mixing and great taste. 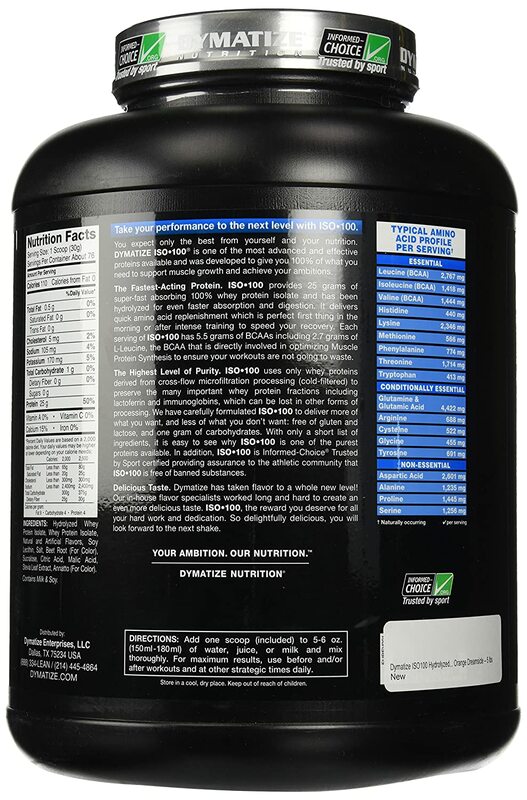 Outstanding nutrition profile, with 25 grams of protein per serving. Low fat and carbohydrate contens ensure that this product is all about the protein content, as it should be. Hydrolyzed whey protein for faster absorption. 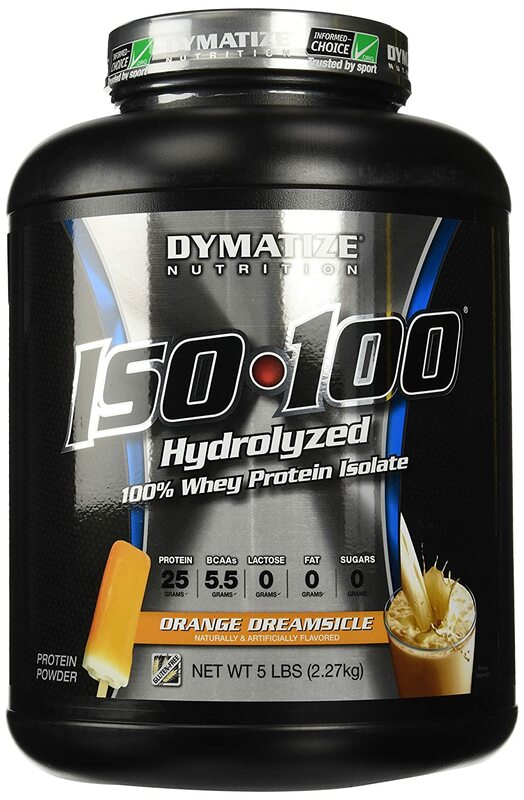 To Recieve updates and possible rewards for Dymatize Nutrition Dymatize ISO 100 Hydrolyzed - 5 lb Orange Dreamsicle please sign in. To Recieve updates and possible rewards for Diet Supplement please sign in.